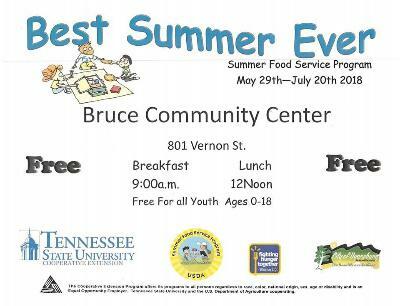 Summer Feeding Gives Children up to 18 free Meals during the Summer. About Year-Round Feeding Initiative. 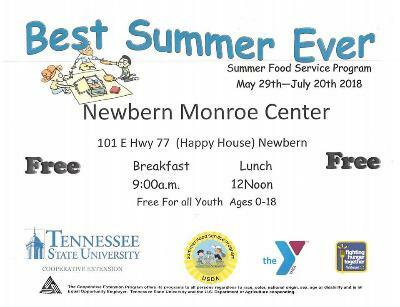 The program is sponsored by the Dyer County Government Park Board and is managed by TSU Extension office providing over twenty sites in the summer providing a healthy breakfast and lunch during the summer and four after school program. 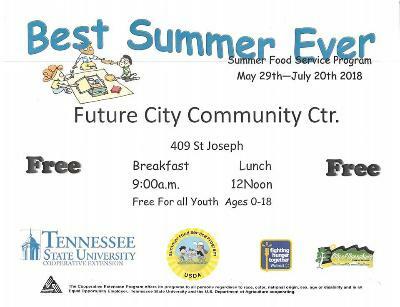 We take part the Summer Food Service Program (SFSP) allowing us to provide healthy and nutritious meals during the summer and Child Adult Care Food Program (CACFP) for afterschool meals. Program is done by partnership with City of Dyersburg Parks and Recreation, City of Newbern, Dyersburg Housing Authority, Newbern Housing Authority, Lively Stone House of Praise, New Womack Temple, Ross United Methodist Church, Word of Faith Church, St. Johns #3 Baptist Church, Dyer County School System, teen 4 success, Lake County School System, Dyersburg State Community College, Union Mission, Bruce Community Center, Future City Community Center, and YMCA of Dyer County. 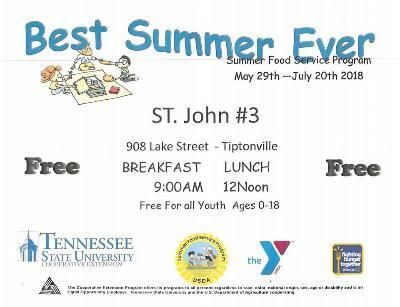 Additional investments and funding from Tyson Food, United Way of West TN, Walmart/Y USA, Lowes, Nucor Steel, YMCA of Dyer County, City of Newbern, City of Dyersburg, and Kiwanis Duck Blast. The Summer Feeding Program has kicked off. 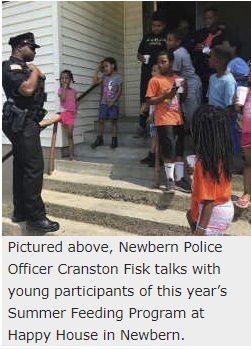 This year’s program will include numerous sites for breakfast and lunch meals, as well as physical activities and a newly implemented reading program. 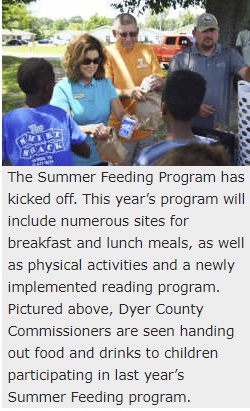 Pictured above, Dyer County Commissioners are seen handing out food and drinks to children participating in last year’s Summer Feeding program. The Dyer County Legislative Body and Dyer County UT/TSU Extension Office are the sponsoring agencies of the event. 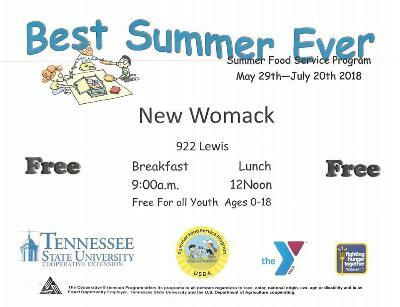 Free Summer Enrichment Activities at 7 Sites between breakfast and lunch Monday thru Friday for the Summer. This summer Seven sites provide many different enrichment acitivites for those attending at no cost. 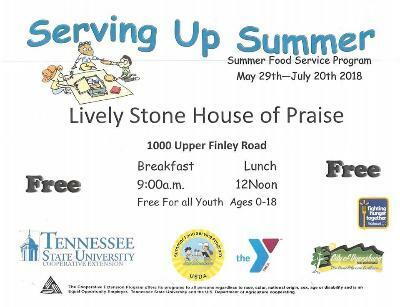 These activities is held at the following Dyersburg Locations: Bruce Community Center, Future City Community Center, Word of Faith Baptist Church, Liviely Stone House of Praise, and New Womack Temple. In Newbern Happy House on Monroe Street. In Tiptonville St. Johns Church # 3. 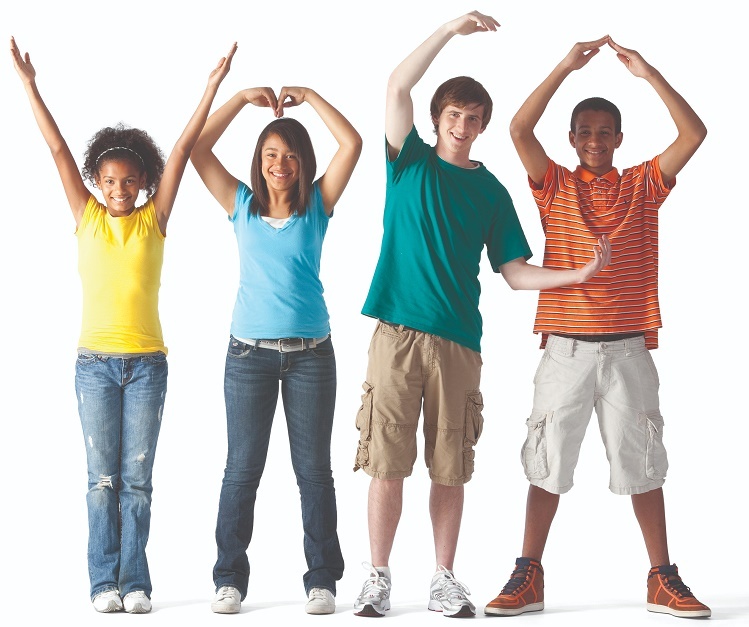 Provided by Dyersburg Parks and Recreation Staff and YMCA of Dyer County will be leading these activites with volunteers providing children attending the feeding sites to become physically active to aid the fight against obesity, add curriculum plus programming that will bring educational component to engage children during out of school time working on educational disparities, will add staff to aid in running the programs providing safe environment while providing a meal to fight those who might go hungry when school is not in session. , We give these children opportunity for recreation, education, while providing a nutritious meal serving more than their basic needs.